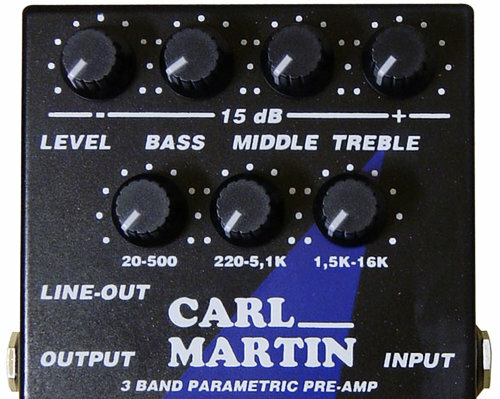 The Carl Martin 3 Band Parametric Pre-amp gives you 7 knobs to fiddle around with. Apart form the top left knob named LEVEL, they work in pairs across each of the 3 EQ bands. Basically, you get a BASS, a MIDDLE and a TREBLE band to tweak, and each of the knobs in the top row control the amount of gain you want to add or subtract. All bands can have up to 15 dB of either boost or cut, and on top of that, the LEVEL knob which is acting as a master output offers a similar +/- 15 dB range. The three lower knobs set the center frequency for each EQ band. 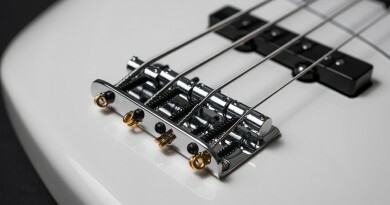 For the BASS band, the range spans 20 Hz to 500 Hz. The MIDDLE band covers 220 Hz to 5.1 kHz and the TREBLE band can be set from 1.5 kHz to 16 kHz. On either side of the pedal, you find the INPUT and OUTPUT 1/4″ jack connectors, but on the left side, there is also a DI output, or LINE-OUT as Carl Martin calls it, on a male XLR connector. Finally, there is a single, red LED and a footswitch. There is no power supply input as the pedal comes with a hardwired power cord. The sound clips are divided into 6 rounds, and they are a mix of a methodic approach and ‘various settings’ examples. The first three rounds, cover each of the EQ bands, one by one. However, with the semi-parametric EQ design, there are a ton of potential combinations for each band. Therefore, I decided to find a fixed gain setting for all sound clips in round 1-3. +/- 15 dB is a lot of gain, so setting the gain knob for the EQ band in question to a fixed 3 o’clock position allows you to hear the frequency range being tweaked pretty accurately. And from there the really interesting thing to listen for is how the sound changes as the FREQUENCY knobs are being turned bit by bit. As you may have noticed from the CONTROLS section, the EQ bands are heavily overlapping and, further, they have quite wide Q-slopes. Please bear in mind that these sound clips are not dialed in for the purpose of making the bass sound amazing. They should, hopefully, let you hear how each EQ band behaves at 5 different center frequencies. The last three rounds simply aim at demonstrate a couple of settings that for various purposes sculpted the sound of the bass in a way that I found desirable. The semi-parametric design of this pedal obviously makes it more flexible and versatile than, say its semi-sibling also reviewed in here – the Boost Kick. 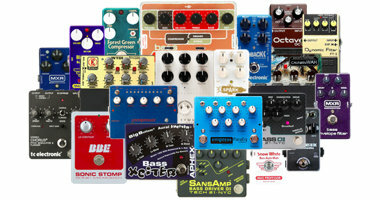 However, calling this pedal ‘parametric preamp’ is no lie, but also not entirely accurate. Since it doesn’t spell out ‘semi-parametric’, you might think that it would be a fully parametric EQ, which is not the case. A fully parametric EQ would have dedicated controls for the ‘Q’ (the slope of the EQ curve). Having said that, this pedal is indeed versatile and for a semi-paraetric EQ, it is also fairly intuitive in the sense that if you just tweak the knobs and try not to think too hard or over-analyze the settings, you should be able to find some nice tones fairly quickly. That’s an odd comment, you may say, but since the EQ bands overlap a lot, if you start thinking for instance “so, I want to scoop the tone a bit…”, you may get stuck in an intellectual loop. Why? Because you push the BASS center frequency at around 1-2 o’clock and boost that a bit. Then you move on to boost the TREBLE slightly and back off the MIDDLE a bit. 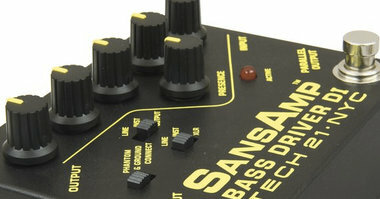 Only to find that you also tweaked the MIDDLE center frequency in much the same area as you created the bass boost. Now, you may start to ‘think’ your way out of this, but all you really have to do is listen. Yes, the bands overlap and you your setting may not make that much sense, but everything is connected and even if you do tweak overlapping neighbor EQ bands in opposite directions, you don’t cancel out the tonal tweak. Just try to bypass the pedal, and you can probably hear the difference right away. The build quality is good. It’s a sturdy chassis and all parts feel solid. The unit on review is pre-owned and I don’t know exactly how old it is, but I found no issues whatsoever with regard to physical knobs or connectors, or in terms of unwanted noise. 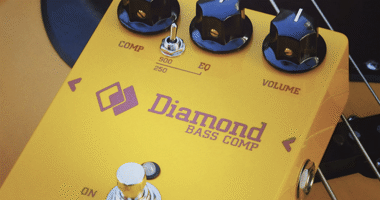 The DI is a great addition, and while I use the DI on the amp in most cases, more DI options are good to have, should something unpleasant happen during a gig. Oh, and of course the hardwired cord may be an issue to some. 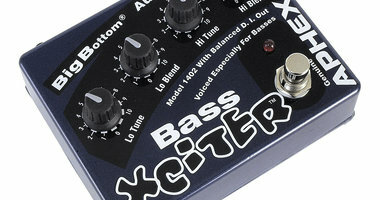 My guess is that most bass players, who use a pedal board, run their pedals off a dedicated external power supply. I have no issues with the fact that this pedal can’t use batteries, and personally I have no problems with the hardwired cord either. I always bring an extension cord anyway and there are plenty of room for one more plug, but again, to others it may be more of an issue. It should be mentioned, anyway. 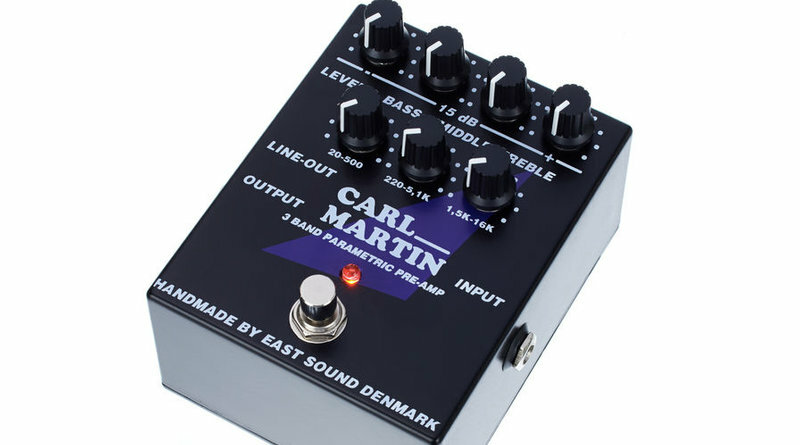 Today (2016), a new Carl Martin 3 Band Parametric Preamp pedal retails at around $260, which puts it in the high-mid market. 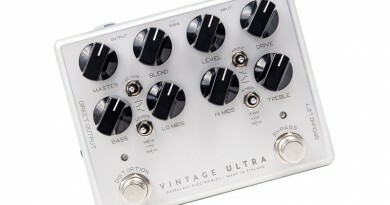 It is a great pedal that offers a really good set of versatile EQ controls, so I would say it offers good value for money. But not amazing value for money. The 3 Band Parametric Preamp from Carl Martin is like having a nice swiss army knife for your bass tone. It has 3 semi-parametric EQ bands that are wide and overlapping. There are other more surgical alternative out there, and there are some cheaper options as well, but if you are looking for a preamp pedal, you should check this one out. Best of all, if you can get your hands on one and take it out for a test drive on the stage or in the rehearsal space, my guess is that you will quickly get an idea whether this one is the solution for your needs.